This bintang Wars: Revenge of the Sith photo might contain ruang tamu, ruang duduk, depan kamar, salon, atlantic walrus, odobenus rosmarus, walrus atlantik, and ruang tamu. 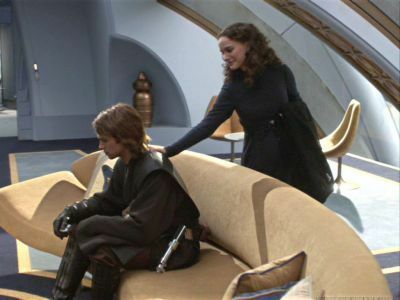 This is a nice pic of Anakin and Padme. The way she looks to be comforting him makes her death later on more tragic.